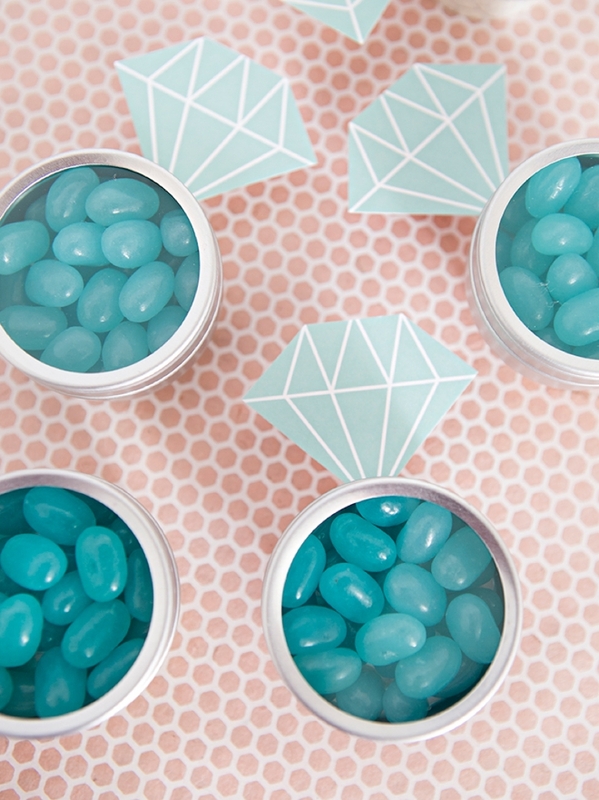 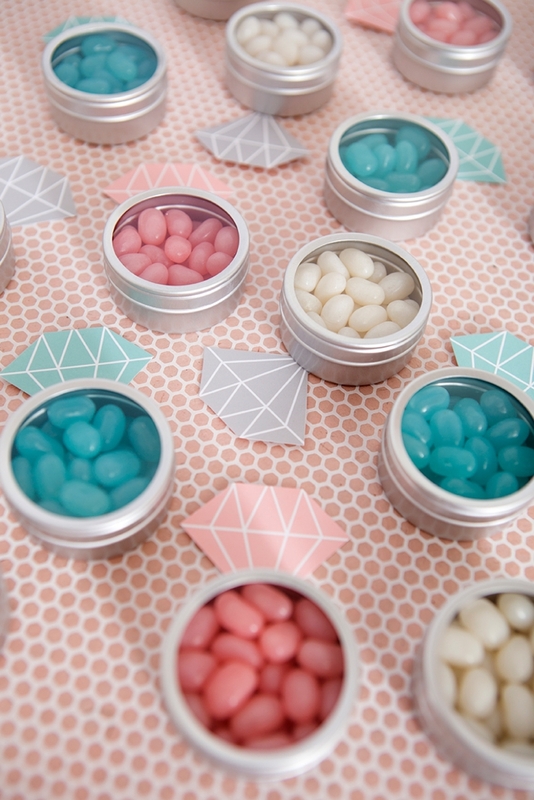 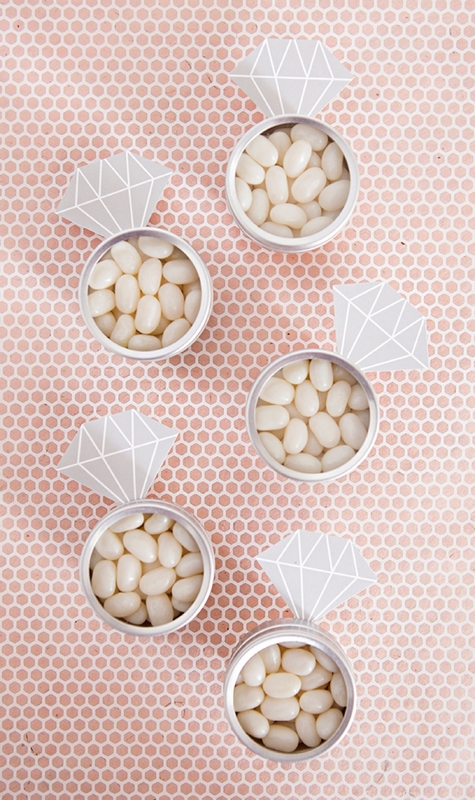 These DIY Diamond Ring Jelly Bean Favors Are The Cutest! 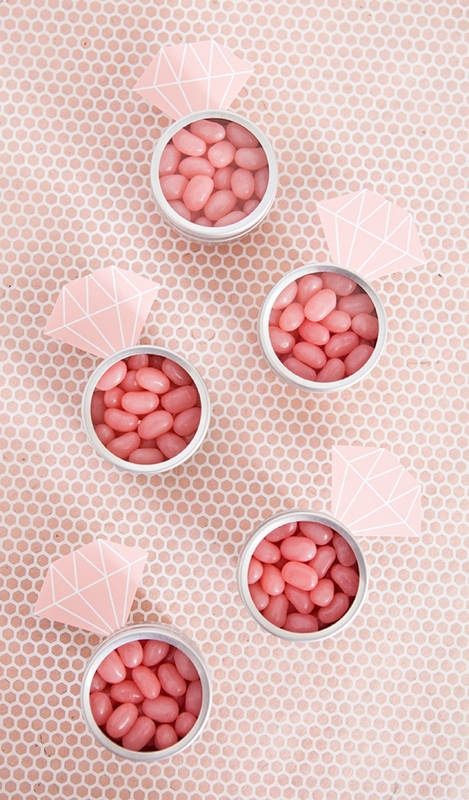 Gosh, this week is flying by, it’s already Day 4 of #favorweek! 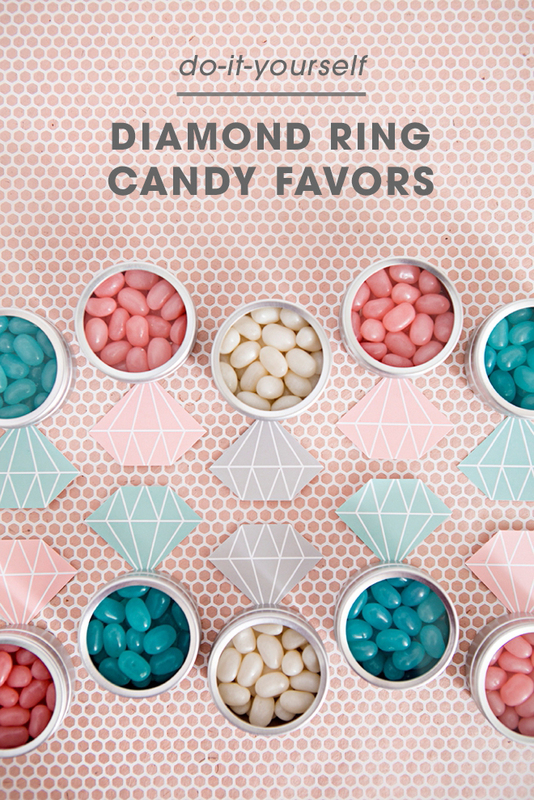 Today’s super fun + easy project is going to incorporate your favorite candy and diamond rings, sounds good right?! 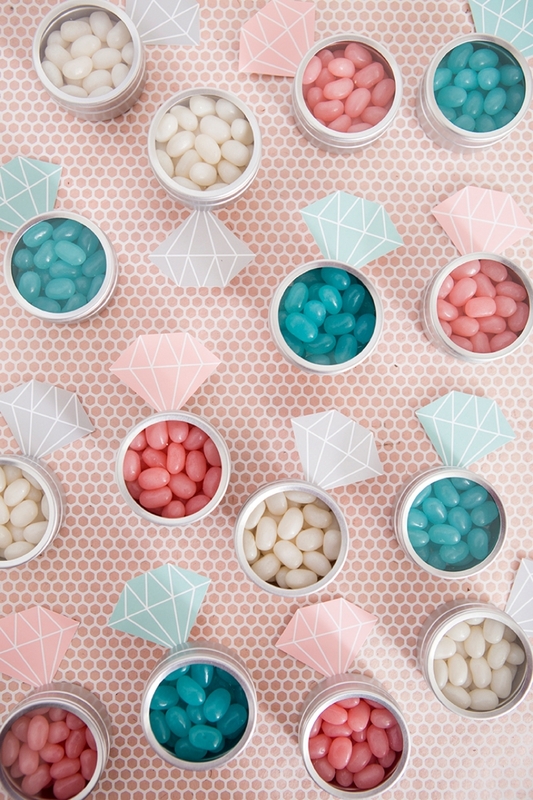 Package up your favorite small colored candies in cute little tins and add one of our free printable designs to turn them into diamond rings in a flash. 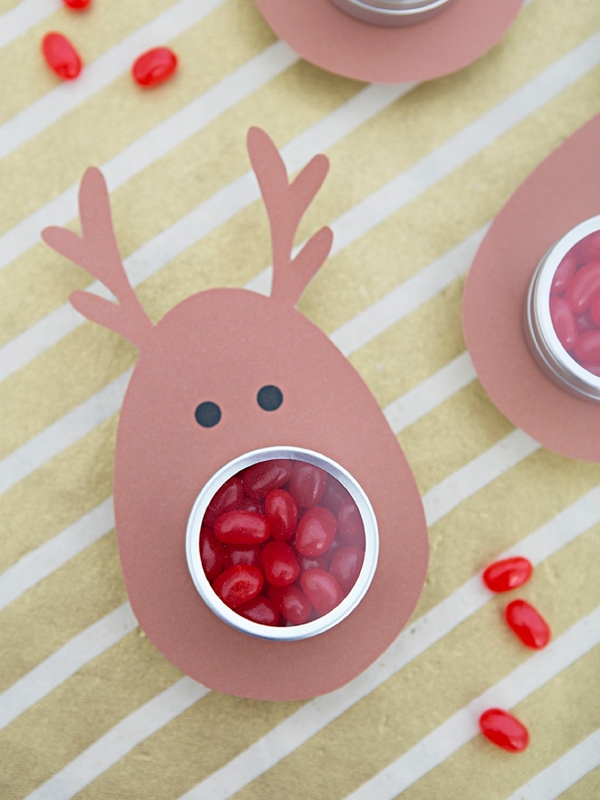 And of course, since it’s favor week I’m also sharing a darling reindeer design using the same concept. 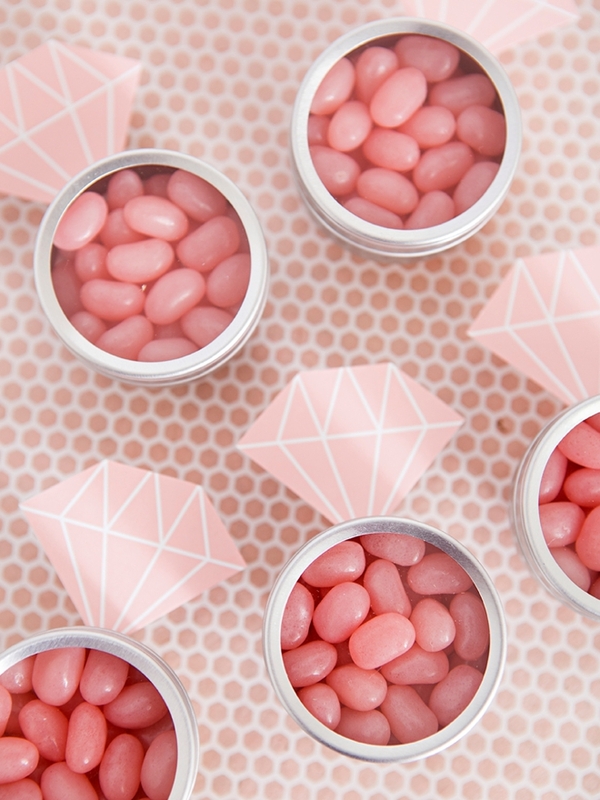 Now please excuse me as I’m off to devour all these jelly beans! 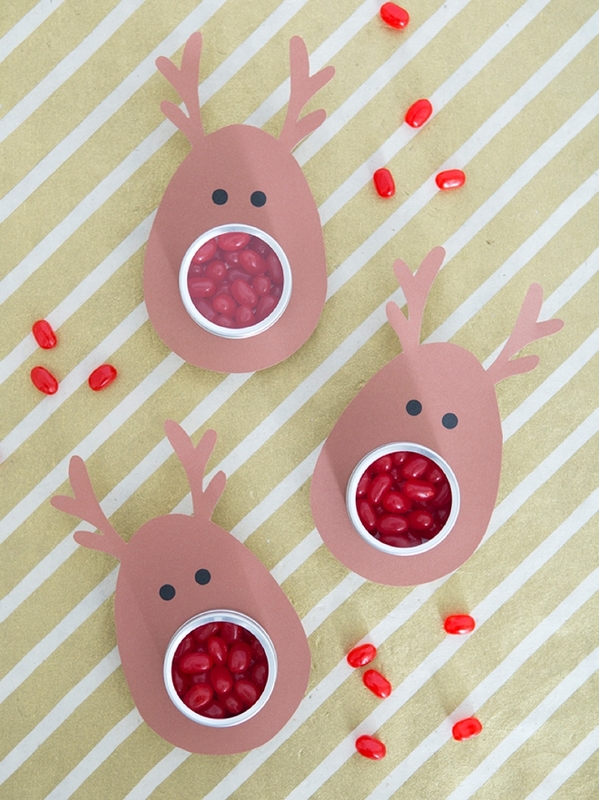 I am absolutely dying over these reindeer!! 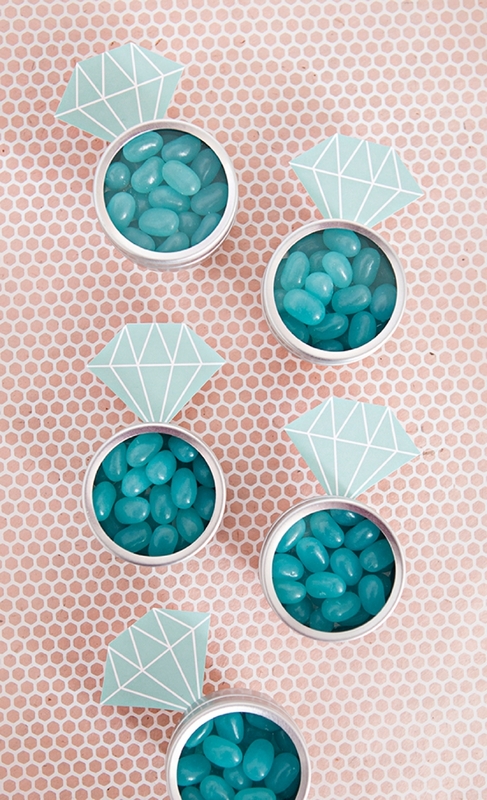 Such a fun idea for any kiddos this holiday season… and of course if you’re planning your engagement party or bridal shower, the diamond candy tins are a must make! 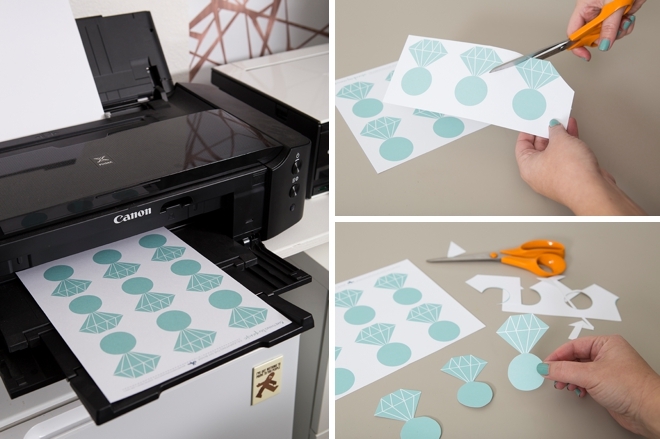 Download your choice of either diamond or reindeer label at the end of the post, then print onto 8.5″ x 11″ white cardstock. 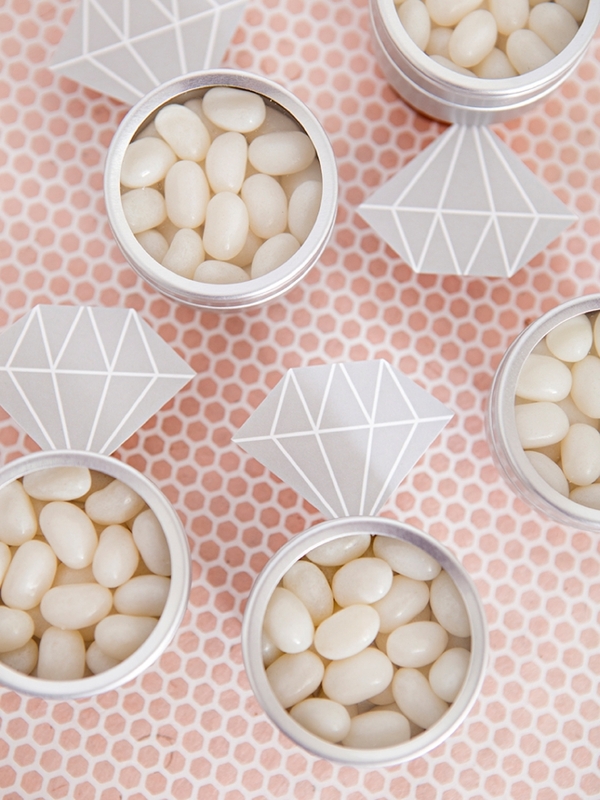 Trim on the lines provided. 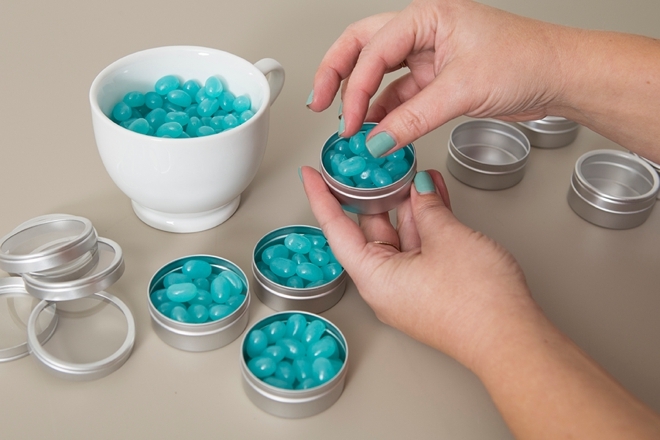 Fill your tins with your favorite type of candy; Jelly Beans, MnM’s, Sixlets, etc! 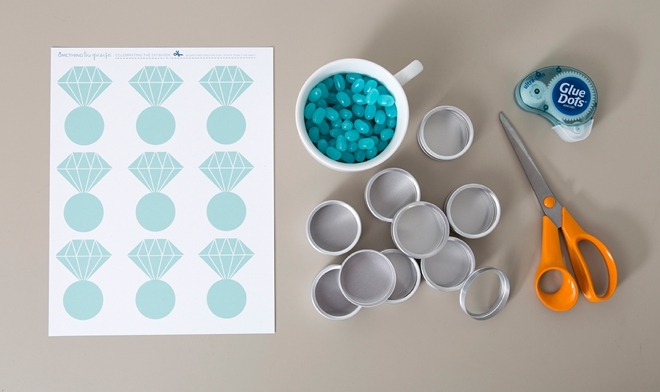 Add a few Glue Dots to the circle part of the diamond and adhere it to the bottom of the candy tin. 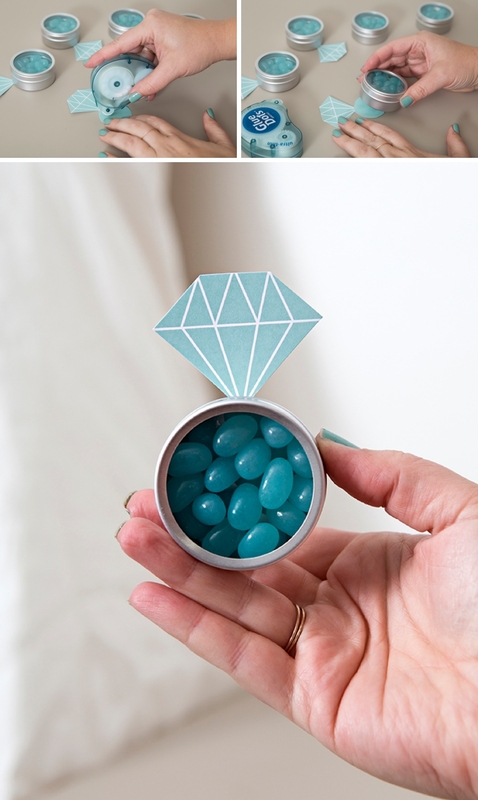 That’s it, easy right!? 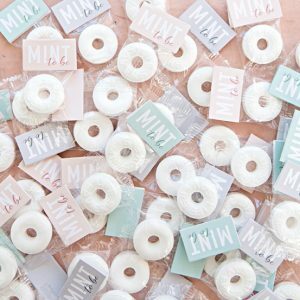 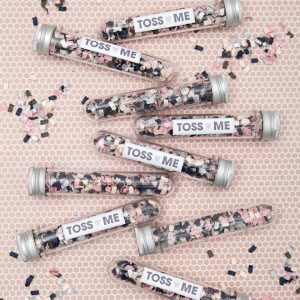 These darling little favors that are perfect for your engagement party or bridal shower are super simple to make, and super sweet to eat. 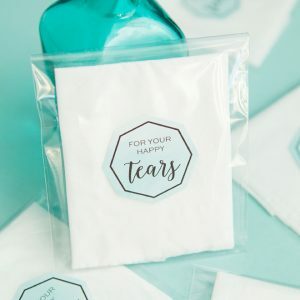 They’re also wonderfully inexpensive, so all things considered they’re sure to put a smile on your guests faces!